Your donation will be used for United Sports Foundation programs and the new Family Fitness Trail—a one mile loop around the Epping Field Complex. Seacoast United Sports programs are growing each year and the need for a safe place to walk during a training time is also increasing. With the new Family Fitness Trail, you will be able to walk or run a continuous 1 mile loop without leaving the facility or crossing the road. You will also be able to stop at a number of fitness stations along the way to vary your workout. This Family Fitness Trail will be suited to all ages and give you great exercise while you are waiting for your athlete to train or warm up for a game. Each brick can be specifically detailed with a personal message, important dates, names of family members, etc. 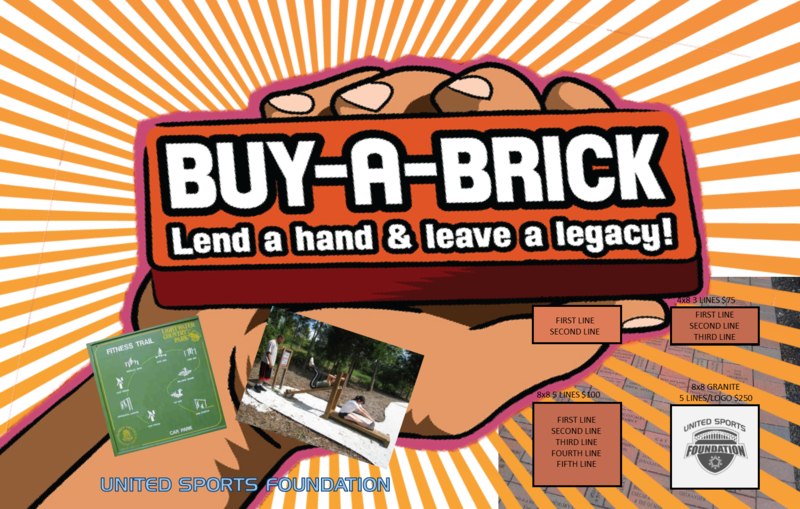 Please consider this opportunity and order your commemorative brick. The cost of a 4”x8” brick with your two line message is $50. Maximum amount of characters across is 15. For an additional $25, a third line can be added. An 8”x8” brick with five lines of print may be purchased for $100. This is ideal for family/group of names or special messages. If you would like to have an 8”x8” granite piece, you can put your company logo or up to 5 lines of print for $250. Once we have your order form, a brick keepsake certificate of participation verifying each of your personalized inscriptions will be sent to acknowledge your order. This is a limited time offer so get your orders in right away! Please click here to download the order form. Once the form is filled out, please mail it and your payment to United Sports Foundation, 88 Shirking Road, Epping, NH 03042.